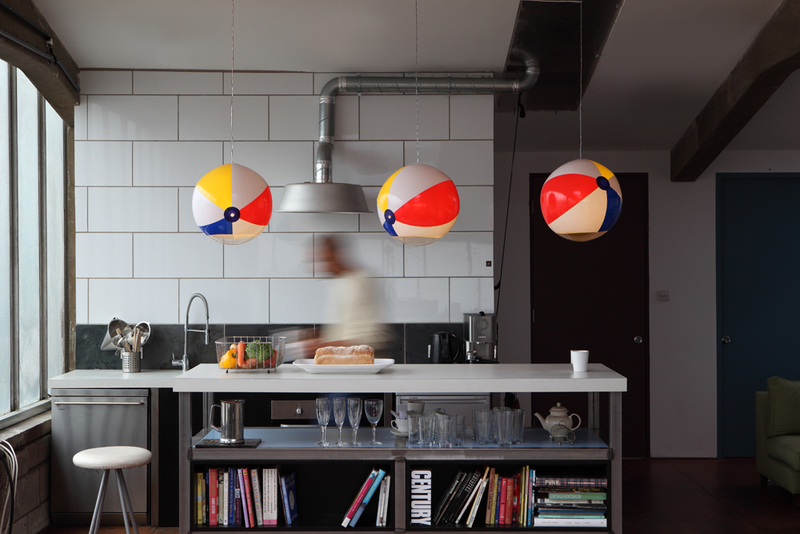 Looking to bring a bit of sun and surf indoors? 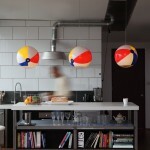 These Beach Ball Lights crafted by British designer Toby Sanders are a fun way to give your home an air of summer all year round. The whimsical fixtures currently come in two forms: as a dangling pendant light and tabletop lamp. 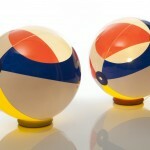 Just like a regular beach ball, the lights — made from ultrasonic welded PVC — are inflated the old-fashioned way: by pumping air into a pop-out blowhole. 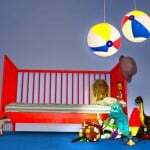 It’s powered by a cold LED light bulb, which is considered the more eco-friendly successor to CFL bulbs. 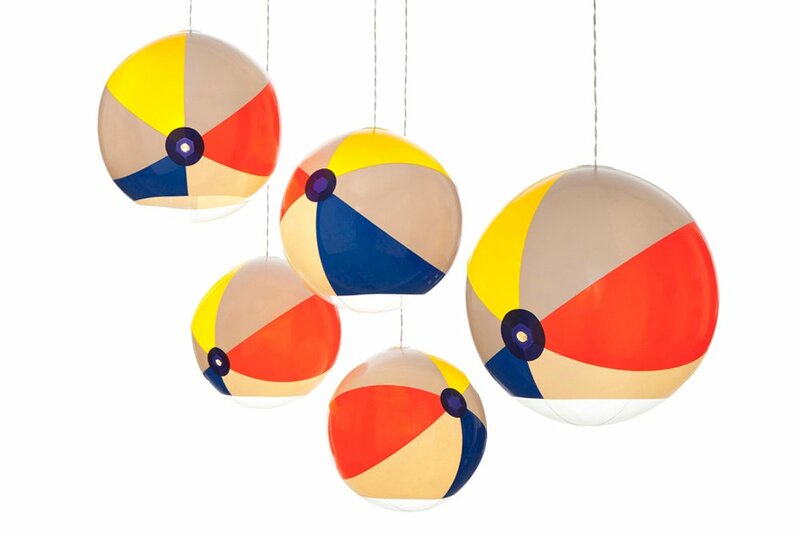 Sanders’ fun approach to housewares is evident in all of his works — check them out on his website or purchase a set of the colorful Beach Ball Lights here.